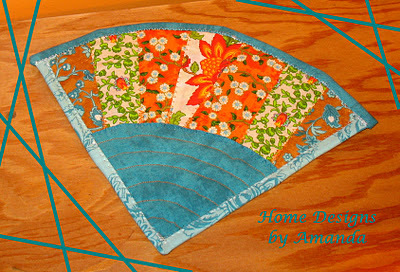 It's the last Teaching Thursday of The First 25 Days of 2012...and I'm going to share a tutorial for a mug rug. I thought it turned out nice and was glad I took a bunch of progress pictures so I could write up the tutorial...did that this morning. So, here is the PDF tutorial of the Fan Mug Rug. Now, I need to go add the merchadise shown yesterday to the Etsy store...alot of computer time today! I may need another cup of coffee :) and I can't wait to sew some more...while typing up the tutorial, it made me want to make another one. When I get to it, I'll probably add it to the store too! Also, I'll be adding this to the great linky parties...there is so much to see on blog land! God is always paying attention to us, even when it doesn't feel like it.